the awesome blog candy either! someone that just found out she is pregnant. Hope you enjoyed my Book! I wouldn't suggest eating it though! Your next stop is Kyle! Way too cute!!! Love the little feet in the bubble!! Too cute!! great job! I already follow of course.... Thank you for sharing this. 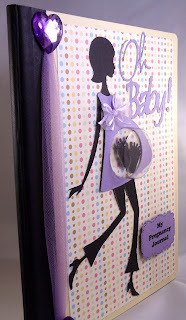 Adorable pregnancy journal! Fantastic job! What a great idea-too cute. How cute and look at those little feet, great job! 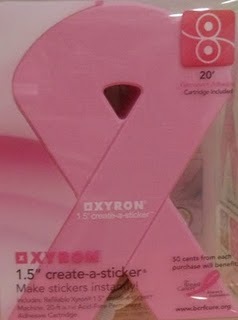 This is so cute, what a great idea!! Love the little feet inside the belly!! Great job!! I am already a follower!! Thanks for the chance to win!! Julie! how adorable is this!!!! I love that you made it into a journal for pregnancy. Great job as always! Great idea for a new mommy. TFS. seriously?? That is the cutest thing I ever saw! that belly is a scream(I have been wondering what to do with my sweet treat cups!) totally awesome! I love the baby feet in the mommy's belly! Great book! Wow!! This is too cute! Thanks for sharing. just made a pregnancy journal for my daughter, she's having twins!! Julie you out did your self I bet you broke a brain vessel creating this one.... it way toooooo cute..
Just way to cute and the fact that it has my favorite color- purple- makes it just that much cuter! Thank so much for the inspiration! A pregnancy journal...what a great idea! I love it! I love the belly! I don't have any friends or family expecting or I would have to make one for them! Super Job!! Thanks for sharing! Absolutely ADORABLE creativity - those feet!!! Love this idea! This is so cute. What an awesome idea. This is so adorable. I love this idea. Will need to do this for the next pregnant friend. Thanks for sharing. I love this pregnancy journal. Super cute! I little feet in the belly is a great idea! I just love this idea. Gonna have to use it. Thank you for sharing. "No Mom, I'm not pregnant." LOL!! I really did LOL when I read that. ;) I want to thank you for inspiring me to FINALLY USE those 3D circles I bought 2 boxes of!! ;) That is the CUTEST book! Hey, we both used tulle and a girly silhouette in our creations. That's cool! 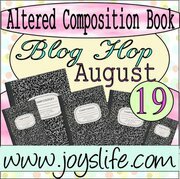 Thank you for being part of the Altered Composition Book Blog Hop! What a cute book! And a great idea for journalling all those pregnancy thoughts and feelings!! Oh my goodness... I love this book. The tulle is amazing, I love the feet in the "belly". THANKS. This is just so darn cute!! :) Great idea for the bubble!! Oh, this is just the CUTEST thing I've ever seen! Love the treat cup with the baby feet for her pregnant tummy--"swell" idea! Adorable! Wish I knew someone that was pregnant. I'm going to save this idea for later. Love the belly with the feet. Awesome idea. Could also create one for the babys milestones cause sometimes we don't have time to write a whole journal entry but could jot down things we don't want to forget! How cute is this. great color and love everything. thanks for sahring and for the chance to win. new follower. Very cute book great idea! What an adorable card! My friend's daughter is pregnant and this gives me a few ideas of how I can help her journal her first pregnancy! Truly, truly too cute! P.S. I am now following your blog! Very adorable.....she is going to love it!!!!!! Love the book,I snickered at the size of thos e feet. Awesome pregnancy journal. Love the feet. This is really great. I wish I had one when I was pregnant. Great gift! How cute is THAT??? She is going to be sooo pleased!!! That is the cutest book ever! Great idea for it. Awesome book! What a great idea for your friend! And I love the colors you chose. This journal is the most adorable one I've seen for a pregnancy! 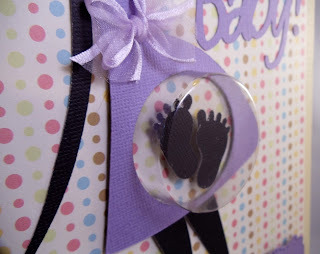 The creative way you put the feet in the bubble to symbolize the baby is genius!! The feet in the belly...genius! So cute! Love the feet on the belly! Thanks for sharing! oh this is really, really cute! Your friend will absolutely love it, what a great idea! I clicked to Like you - thanks for the opportunity to win! This is a great idea! My little one will be 1 year next month and I already forgot what it was like to be pregnant! I wish I would have had something like this to jot down thoughts! I like this book...it is different and super cute!! Very creative card! Thank you for sharing! I am loving this hop. Cute idea to use the book as a journal. I like how you decorated for a pregnancy journal. It will be treasured. 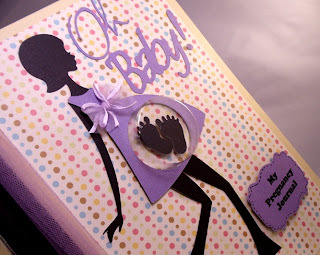 Love the colors and the adorable "belly box" ...too cute! Love your altered book, the belly with the feet in it is absolutely wonderful. Great journal! Thanks for participating in the hop. So perfect for a friend of mine who just found out she is having a little girl! Thanks for sharing! what a cute idea to put the little feet in the preggo mama's belly :). LOL I thought too that maybe you were telling us that you are pregnant! LOL Then I read the message for your mom! This is so cute and such a great idea for a mom to be! I love how you use the treat cup in the belly of the prego mom with the little feet, to cute! This is the cutest pregnancy journal! Your friend is going to LOVE it! This is awesome! I just came across your blog and love your ideas. So talented. You can contact me at creative(dot)chaos(underscore)online(at)yahoo(dot)com or I'm Kymm Creative-Chaos on Facebook! OMG....this turned out sooooo cute! You had a fantastic vision on this one and I witnessed it!!! LOL.....you are awesome!!! I love your notebook design. Such a great idea. Gorgeous project. I wanted to let you know I have a blog award for you on my blog. Oh my gosh! I'm sure I'm too late for the giveaway, but I just had to tell you how adorable your journal is! Sooo cute!!! This is beautiful!!!! Thanks so much for sharing! !